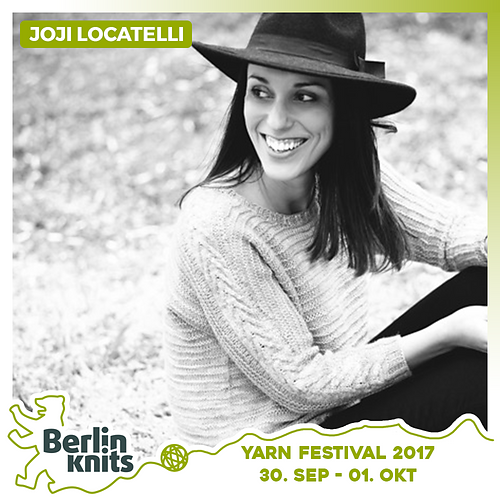 Joji Locatelli Sweaters that fit Ticket Joji Locatelli - Joji Locatelli - Workshops | Berlinknits - Yarn Festival 2017 - 30.9. - 1.10. In thisfriendly workshop, we'll talk about how to choose a sweater that will make youreally happy after spending so much time knitting it. We'll discuss: How to choosethe best sweater styles and shapes for your body. How to takemeasurements of your body and choose the right size of the pattern you wantknit. How tocustomize a sweater to your own body according to your: Waist length, armcircumference, bust measurement, hip measurement. How to addbust darts, waist shaping, curved hems, length to the back so that the sweaterdoesn't ride up.How to choosethe proper length for you.How to choose the right yarn and fibercontent for a project.